We all have our own personal priorities. Family, work, hobbies, health, religion, philosophy and everything in between. Some of us focus heavily on one aspect of our lives more than others, some are workaholics, some will intentionally disregard work in order to spend time with family. Then, out of nowhere, something happens which puts our priorities into a tailspin either for a brief moment in time, for several days or permanently changes the way we look at living our daily lives. Ask anyone who has been in a deadly force confrontation and survived, like Officer Garmins, who nearly ran out of ammo during a shootout and now carries 146 rounds on duty. What his priorities were before and after that day in regards to equipment and training changed drastically. A single moment can change a lot, the way to overcome these moments is to think logically and disregard emotionally attached rhetoric. How often do you train? Is it effective and applicable for your daily life? If you are an average responsible citizen, constantly training in full kit doing runs of CQB under NVG's in your house means you are probably spending your time (and money) inappropriately. While it may be beneficial to know how to do that, you only have so much time to devote to specific training every single day, creating proper habits of training is very important because of this. The tools you carry should be trained with almost every single day. You should dryfire every single day, in fact you should dryfire every time you touch your EDC pistol. If you carry a blade you should inspect it and use a training blade to run a template or a few draw strokes every single day. You should be training strikes and entries, scanning and breathing, constantly developing awareness of your own skill sets. In the recent show Godless the leading antagonist said "keep it in your hand all day, until it feels strange not to have it, until you miss it, like its part of you" when he gave a wooden pistol to a boy he was teaching. Can you say you are that comfortable with your tools? All of your tools? You should strive for gaining the most competence with the tools you depend on daily. This can only be done through proper repetition. Tuhon Tom Kier attributes the above quote to Buddha, "The thought manifests as the word, the word manifests as the deed, the deed develops into habit, and habit hardens in character. So watch the thought and its ways with care, and let it spring from love, born out of concern for all beings. As the shadow follows the body, as we think so we become." This has many layers and many different directions it can be taken, this concept should push you towards developing proper habits, logically thought out and executed in order to quicken the maturity of your skill sets. Every repetition should be done with intentional movement and purpose. You should be able to have an unconscious competence with all of your daily carried tools and your ability to perform with them on demand. This requires a lot of training time, this requires many tens of thousands of repetitions, this requires overcoming failure and serious hardship. However, this is not limited to tools of violence, this concept is unlimited in terms of application and should be given consideration when weighing what skill sets to develop. Each one of us has differing purposes and requirements for a given skill set, this should be contemplated when selecting tools as well. What tools or skill sets are applicable to a person who lives in a rural area may not be applicable to a person who lives in an urban area, there are numerous overlaps though, and thorough thought should be given to the universal concepts which apply to all requirements; such as a tourniquet will stop an arterial bleed the same in any environment, but if you do not have a tourniquet you cannot stop an arterial bleed effectively. 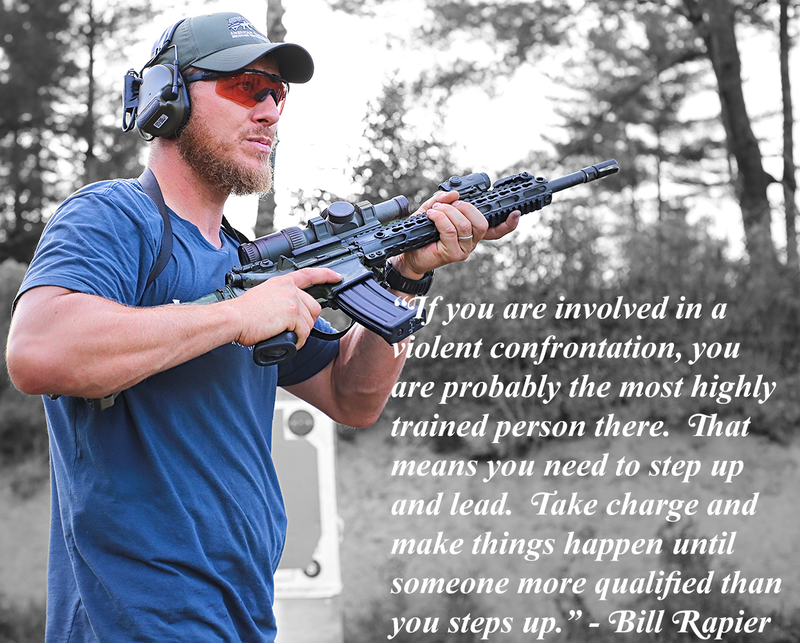 Considering the skill sets which are required to research, purchase, train with and carry an effective tourniquet are probably not outside of anyone's ability, yet there are still people walking around without one, yet they carry a tool of violence everyday. Clearly there is a disconnect. A pedestrian is a person who is content with their ignorance. They go about their tedious lives without so much as a consideration for the concepts above. These are the people who will suffer from cognitive dissonance immediately upon having their daily lives interrupted by something they did not give priority to, but obviously should have. "I can't believe that happened..." is usually something a pedestrian would say, because they honestly could not believe something violent, or the like, could occur to them until it does. Violence is part of all our lives, even if we do not believe it to be true. We are all tested in someway at one time or another, some more than others, others more significantly than some. Another way to look at the pedestrian is that they are uninitiated into reality. While they may go about their daily lives, they have little understanding of the real world. Imagine if Neo from The Matrix movies was initiated before making contact with Trinity? Imagine how difficult Batman's crusade against criminals would be if every single one of them was of the same mindset as Bane. 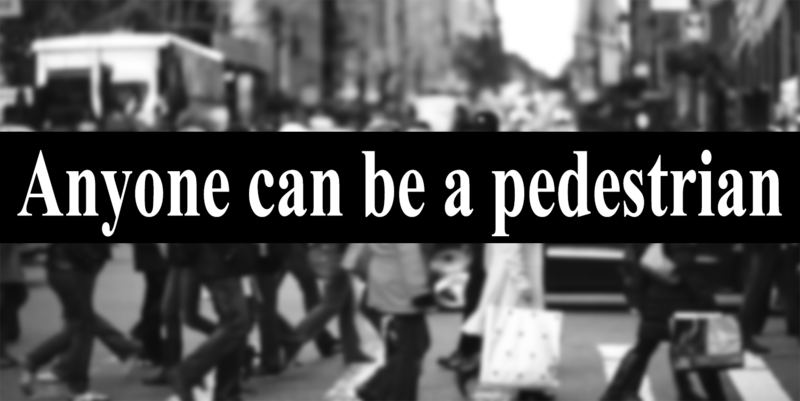 We do not have to, because anyone can be a pedestrian, and the majority of people are. The pedestrians passing through our lives should be mostly disregarded, unless they seek out to be initiated, at which time they should be given the ability to do so on their own, through guidance and direction. Consider the teenage boy who never had a strong male figure in his life, he may know where he wants to be in his life as a man, but may not know how to get there. Consider the guy showing up at the range with his "carry gear" consisting of a leather holster, an old 1911, no reload, because "9 rounds of .45 ACP should be enough for any gun fight" or some other tripe dogmatic statement which is instantly disregarded by anyone who has gone through the hardships of becoming initiated. That guy may believe he is correct, but he may never know otherwise, he may never have been tested, he may never have suffered hardship and never had to reconsider his priorities. A pedestrian is very easy to pick out to someone who is initiated into the correct mindset, through their thoughts, words, deeds, habits, and character. 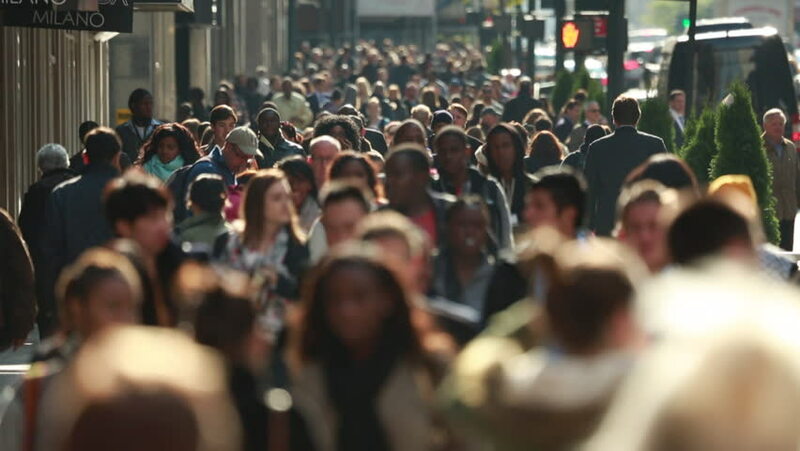 Yet the initiated person may be extremely difficult for the pedestrian to pick out as they do not have the necessary experience or experienced hardships required to properly understand. What is easily understood by someone who is initiated may be extremely difficult for a pedestrian to understand, sometimes pushing the impossible. We all have responsibilities and requirements which are either placed upon us intentionally or by circumstance. We setup out priorities so that we may have the ability to positively effect a violent situation or a significant situation in our favor. We must cultivate our priorities with extreme discrimination as they are what we will spend our time on. Wasting time on a skill set which is inapplicable for your particular situation is not going to positively effect your actions if you did not spend enough time on a skill set which would have. While these concepts do not need to be proven as they are givens, the fact that even a little bit of training will go a very long way in making sure a person is ready for a violent confrontation even when they have not devoted daily repetition to such priorities is clear. The most recent example is Stephen Willeford grabbing his rifle, a hand full of bullets and a single mag, running out to get in the fight while stuffing that single mag, barefoot. He had spent most of his life shooting and teaching people (especially his own family) how to shoot firearms. He developed proper skill sets over a long period of time. 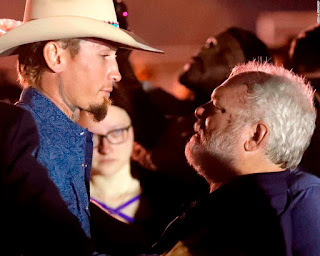 His priorities were only correct by proxy and not out of necessity for that violent event, or else he would have several loaded mags and had put his shoes on, maybe even grabbed armor. Even though he got in the fight, his priorities were quickly turned upside down as he quickly found himself low on ammo, barefoot and possibly teetering on the edge of the preparedness cliff. Thankfully the POS he was going up against was a coward who ended his own mistake of a life and did the world a service by doing so. However, imagine the other possibility. Imagine if the POS had been prepared mentally and physically? Trained properly and put time into the priorities which Stephen had invested in over decades as secondary skills? These should never be secondary skill sets, violent skill sets should always be primary skill sets. "Every man should have a baseline level of combative and shooting ability. It is part of our fundamental duties and responsibilities to our families, Tribes and communities. 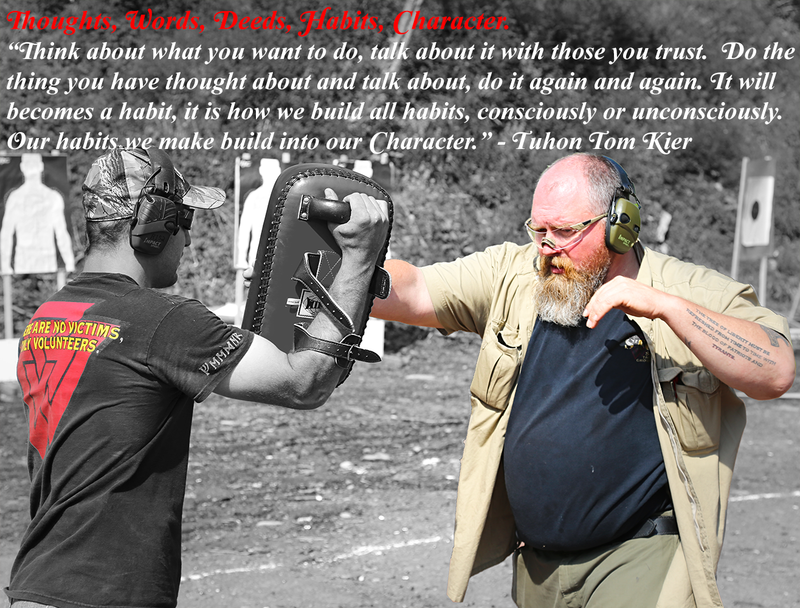 Without training, you will be counting on other men in your community to keep you and your loved ones safe." AMTAC's Bill Rapier has a very clear and obvious point there, one which many take seriously and devote a fair amount of time and effort to. The pedestrian will read the above statement from an experienced person and consider it to be inapplicable to their lives because of *insert some weak excuse here* and they will disregard it. Your responsibilities do not end where your driveway does. They do not end when you are asleep. They do not end when you are dead or dying. Survival is not guaranteed, nor should it be expected, dying well is all anyone of us can ever hope and strive for. This rings even more true when we consider dying well for our country, our respective community, our tribe and our families. Imagine walking down the street and seeing someone bleeding out on the sidewalk. You see other people walking past this person, stepping over this person, disregarding this person. What will you do? What should you do? What are you trained to be able to do? This type of thing actually happens every so often in NYC (elsewhere as well), it is a mix of the Bystander Effect derived from the murder of Kitty Genovese in 1964. Every single person mentioned in this example is a pedestrian, every single one of these pedestrians is completely devoid of ethical density. Imagine going on your life knowing full well that you could have positively effected a situation but chose not to because of weakness? Yes, it is weakness to disregard someone who is bleeding out in the middle of the street because you should know how to stop a bleed. You should be equipped to stop that bleed and you should take action if required. Sometimes you are the first person to see it, sometimes you are the first capable person to see it. Your responsibility to your community is finite in that your training requires you to take action. No, you may not be a LEO who has a legal duty to act but you have an ethical responsibility to act. The initiated know that actions are what define a person, not their words, actions which are heavily supported by training. 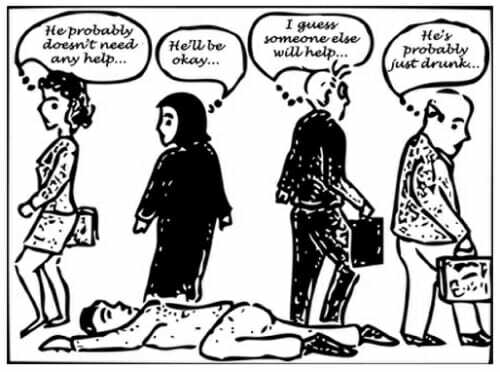 Can you imagine yourself just stepping over a person in clear need of aid due to trauma? Can you imagine yourself not acting when you should have to save a persons life? There are lots of weak excuses for not taking action here, the fact of the matter is that for those who train and have certain priorities they will see this in a multitude of ways. A way to burn a good rep, their duty as a member of their community, their responsibility as a capable man, and so on. A pedestrian will not act, they do not know how and they will do everything in their power to will themselves into believing they did the right thing by not taking action. We know that to be seriously flawed logic. We must continue to be vigilant in our training and mindset development as we are the minority, fighting against the self imposed mental handicap of the pedestrian ideology.